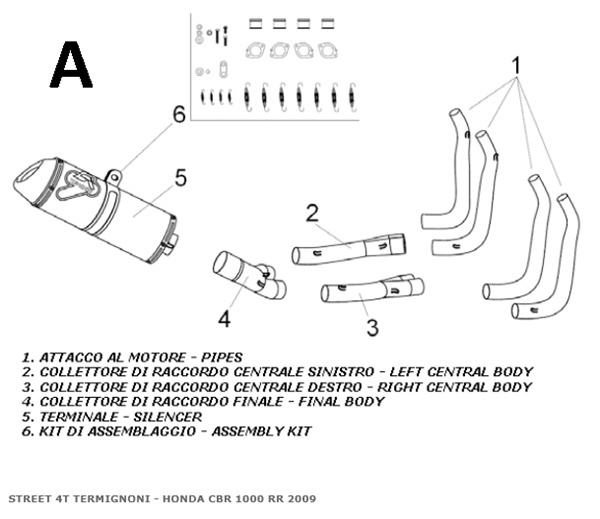 Here are some terms to help you best understand what we can offer to you for your motorcycle. For ease, all of our motorcycle systems are 'slip-on' and/or 'bolt-on' ensuring ease of fitment, making use of the original mounting points and require mostly no or in some cases very little modification to suit. This is where the exhaust system is connected to the exhaust gas exit/port of the engine. Depending on the number of cylinders and set up, this generally ranges from 1 to 6 pipes. 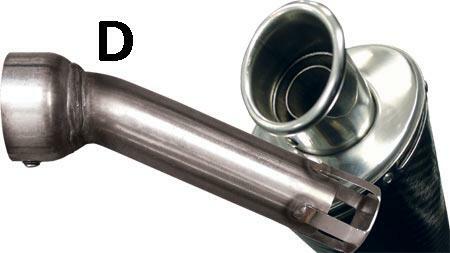 Gernally the largest component of the exhaust system that in combination with DB killers muffle and/or tune the exhaust sound, sometimes called a 'slip-on' for short. Do see further on for more information on DB Killers/Baffles. 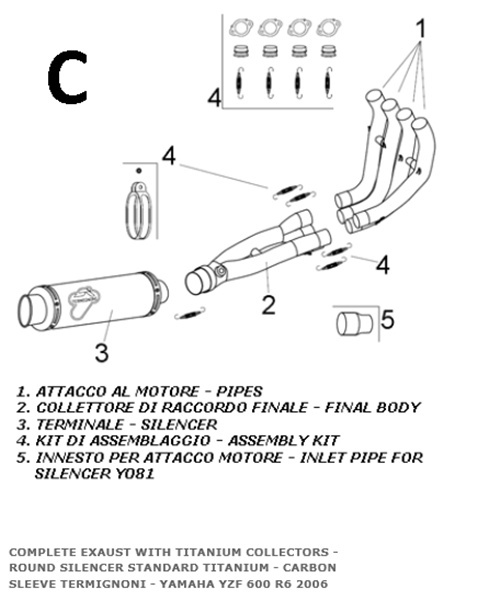 This mostly includes; all pipe work, silencer, brackets, fasteners, clamps etc (as required for installation). 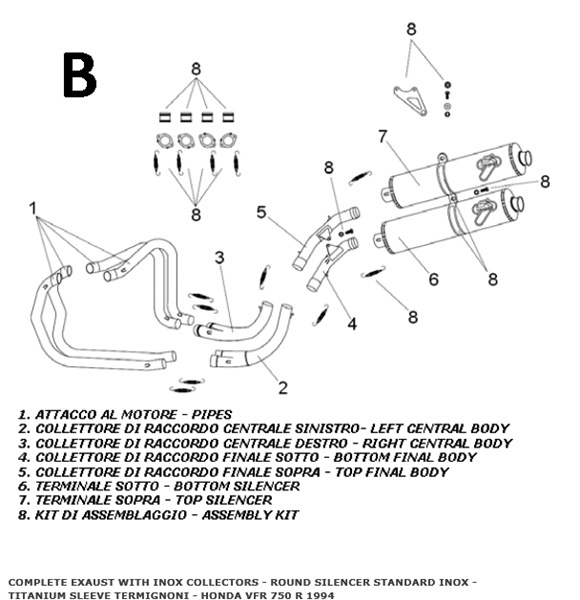 An exhaust may be sold as a full kit, in this case it includes all of the above; the front down pipes/manifold, the central body, the final body, the silencer and all the; brackets, fasteners, clamps for the installation. In most cases there is an option of material used, i.e. stainless steel, titanium and/or carbon Fibre. Depending on your requirements one material will be more suitable to your needs, for eg. street vs race use. This is a removable insert of the silencer that when in, muffles and/or tunes the exhaust sound to a specific DB (decibel) sound level, sometimes called a 'baffle' for short. Common DB ratings are: DB80, DB94 and DB102 (the DB102 rated systems are baffless). Be aware with DB102 systems often one can not retro fit the DB killer(s). * 100 decibels, equivalent to a chain saw, pneumatic drill, printing plant, jackhammer, speeding express train, some car horns at five meters, farm tractor, riveting machine. * 90 decibels, equivalent to a police whistle, heavy traffic, truck traffic, noisy home appliances subway-rail train, pneumatic drill [or hammer] at one meter, ear phones [average volume], rock drill at thirty meters, some motorcycles at eight meters, shouted conversation.